On the western-most edge of Canada, in the ancient exotic temperate rainforest of the Clayoquot Sound Biosphere Reserve, our wild is virgin. Untouched by the last glacial slide, the environment is intoxicatingly pure, fragile and dense with wildlife. Indigenous people believe that the Clayoquot Rainforest vibrates with the energy of the ages -- a living, breathing chronicle of evolution. With snow-capped mountains and glaciers as a backdrop, and pristine wilderness all around, there is no more perfect place for a picnic. The Clayoquot Sound Biosphere is the best and largest example of a temperate rainforest left on the planet. Its stewardship is an immense responsibility and an even greater privilege. The natural environment is what attracted resort owners to the area in 1997, and what inspired the creation of an Environmental Legacy Program. The $3 million, five-year program is funded solely by resort revenues, and identifies five key areas of research, conservation and rehabilitation. Guest participation in each of the five stewardships is growing alongside our understanding of the nature of things. - And, thanks to resort guests, the nature of things is growing alongside us. In 2003, the resorts began restoring 6.4 kilometres of critical spawning habitats in the Bedwell River basin. The only privately-funded initiative of its kind in North America, the five-year program is welcomed by First Nation leaders as well as federal and regional agencies. To date, about 20,000 cubic metres of over-burden (gravel and debris jams) have been excavated to restore the so-called pond channel, and more excavation and restoration work is being done about 2km up-river from the Outpost. The goal is to create enough viable 'off-channel' spawning and rearing salmon habitats to restore salmon and steelhead populations to pre-industrialized levels. Already, chum salmon have been seen digging redds (egg nests) in the new off-channel habitat. Off-channels are akin to collector lanes running parallel to a main freeway; safe, protected areas for salmon to spawn, eggs to hatch, and for fry to mature. They are removed topographically from the devastating effects of torrential river activity, which washes away both eggs and fry. 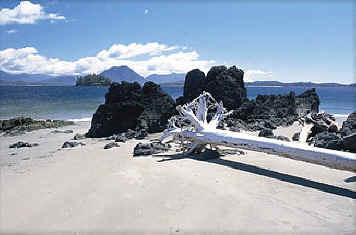 During the 2006 season, restoration crews and interested guests will continue 'complexing' the off channel with large stumps and logs to provide shade and predator cover for juvenile salmon. Within a few short years, a new natural eco-system with optimum upslope and mature riparian edge (diverse bank and shoreline area) will dramatically increase the numbers of salmon and steelhead returning each year to Clayoquot Sound. Resort guests are invited to participate in all aspects of the restoration process and/or learn about the role salmon play in the Clayoquot Sound Biosphere, not just as a food source in the region's web of life, but as a complex key to the Biosphere's fragile eco-system. Clayoquot Wilderness Resorts & Spa is working closely with the O.W.L . (Orphaned Wildlife Rehabilitation) Society of Delta, British Columbia, to rehabilitate injured or orphaned birds of prey and return them to the wild. Growing in direct proportion to the negative impact urban encroachment has on endangered raptors (eagles, owls, hawks and falcons), is the importance of OWL's Return to the Wild program. Prior to entering into this landmark joint-venture with the resorts, OWL had no resources to build or operate much-needed flight pens in wilderness areas where specific species could be naturalized and re-introduced following rehabilitation. Prior to release, rehabilitated raptors must spend at least two supervised weeks in flight pens, being acclimatized to the sights and sounds of their new surroundings. A permanent guest of the resorts' raptor rehab program, is 'Isabelle' the red-tailed hawk. Isabelle was already inprinted (confused about whether she was a hawk or a human) when she came to OWL as a fledgling in 2005. It is unlikely that she will ever be able to fend for herself in the wild, so she will remain at the Outpost, educating guests and welcoming visiting raptors to the program. Black bear play an important role in maintaining forest health. 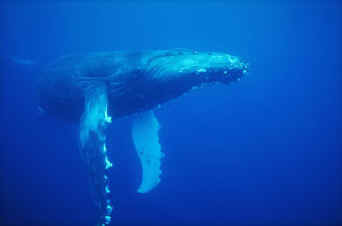 They function as both predator and generalist herbivore (they eat meat and plants). Maintaining their numbers and natural denning habitat is key to ensuring the long-term well-being of the Biosphere. 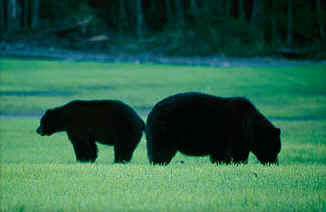 As herbivore, bears contribute to the germination and distribution of many types of berries and other vegetation. These plants in turn are used by roosevelt elk, black-tailed deer, marten, and many other species. As predator, bears help keep prey populations in-check with the carrying capacities of the land. Bears also carry tons of nitrogen-rich fertilizer annually - in the form of salmon carcasses, crustaceans and sea weeds - from Clayoquot waterways, onto nitrogen-depleted inland environments. Learn about and track bear families - through DNA study and cataloguing. Determine movement corridors and levels of use. Locate critical denning sites and potential sites. Mitigate impacts of guests and of Outpost expansion on bear population and habitats. Working together with renowned research scientists like Dr. Lance Barrett-Leonard of the Vancouver Aquarium Marine Science Centre, the resorts have embarked upon a program to monitor and assess the impacts of commercial and leisure marine traffic on whale feeding and migration. By installing and monitoring underwater hydrophones, and recording both the underwater vocalization of whales, and boat traffic noise, scientists hope to better understand whale behaviour. Clayoquot and surrounding marine environments are extremely rich and biologically productive areas where vast salmon populations attract killer whales, humpback whales, porpoises, stellar sea lions, harbour seals, California seals and a wide variety of sea birds. In May of 2004, resort guests from Europe, the Allianz Insurance Group, underwrote and helped install two underwater hydrophones. Since installation, data from both units has been continuously transmitting to the Telegraph Cove Whale Centre for monitoring and study. On a smaller scale, resort whale watching guides carry portable hydrophones, affording guests real-time interaction with the gentle giants below the surface. The world community acknowledges the vast richness of the Clayoquot Sound Biosphere, but relatively little is known about some of its inner-most regions. Due to depth limitations of scuba divers, a very limited amount is understood about the habitat and distribution of marine organisms at depths greater than 500 ft.
To protect the Biosphere's overall marine habitat, meaningful knowledge and understanding of how deep marine eco-systems relate to tidal and sub-tidal habitats, is essential. In May of 2004, the resorts began work with Josie Osborne, Regional Biologist for the Nuu-Chah-Nulth Tribal Council. Using an underwater ROV (remote operated vehicle) equipped with powerful lights and cameras, a team of biologists and resort guests started cataloguing marine organisms by depth. The resulting video footage represents the beginning of a long process of building a permanent record to be made available to scientists and resource managers working within the Biosphere. Phase one of the ROV project was partially-underwritten By Allianze Insurance Group of Austria. Subsequent dives are planned for 2006.